WOW ! ! ! What a PARTI girl ! ! This girl is SPECTACULAR ! ! ! 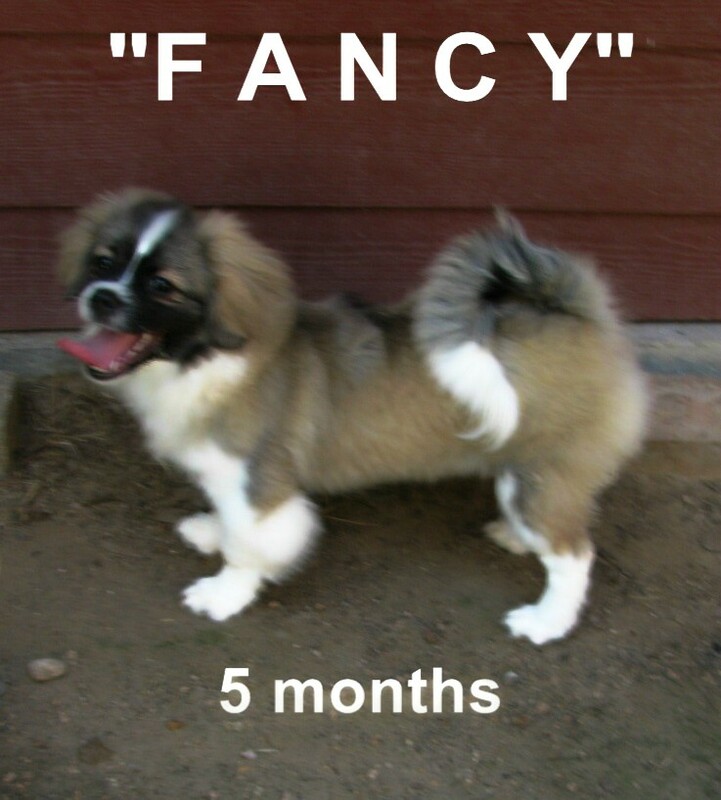 "FANCY" is a gorgeous parti girl with "plenty of spirit" ! ! Her sire is our European Import AKC CH. Caruso Gracia-IN "Yuri" and her dam is the beautiful parti girl Whatta Wisler's Parti 'N Texas "Pukie". We plan a repeat breeding of this litter Fall 2012. 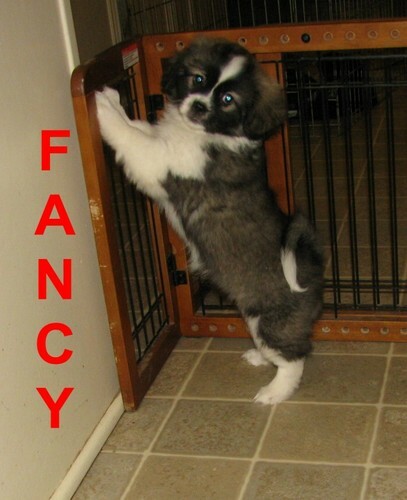 Purchase with confidence from an "AKC Breeder of Merit" with 33 years of experience with AKC show dogs ! ! "F A N C Y"
Gorgeous pigment, beautiful structure and movement with outstanding temperament ! ! "Fancy" is true to the tibetan spaniel written standard. REPEAT LITTER PLANNED ! ! REPEAT LITTER PLANNED ! ! Serious inquiries welcome !